The 2017 iPad is not an exciting tablet. But then it’s not supposed to be exciting, and that doesn’t mean it’s not a compelling device. Like the iPhone SE before it, Apple’s latest tablet is an iterative update designed to appeal to a specific subset of consumers. With its simpler name — iPad succeeds the iPad Air 2 as the company’s mainline tablet offering — and with a more affordable price tag, it’s a device that’s designed to appeal to first-time iPad buyers or those looking to upgrade from one of Apple’s older tablets and the education market. In attempting to capture the attention of those consumers, Apple’s newest iPad is mostly a success. Let’s take a look. At first glance, the 2017 iPad looks exactly like the device it replaces, and for the most part, the two devices are identical. 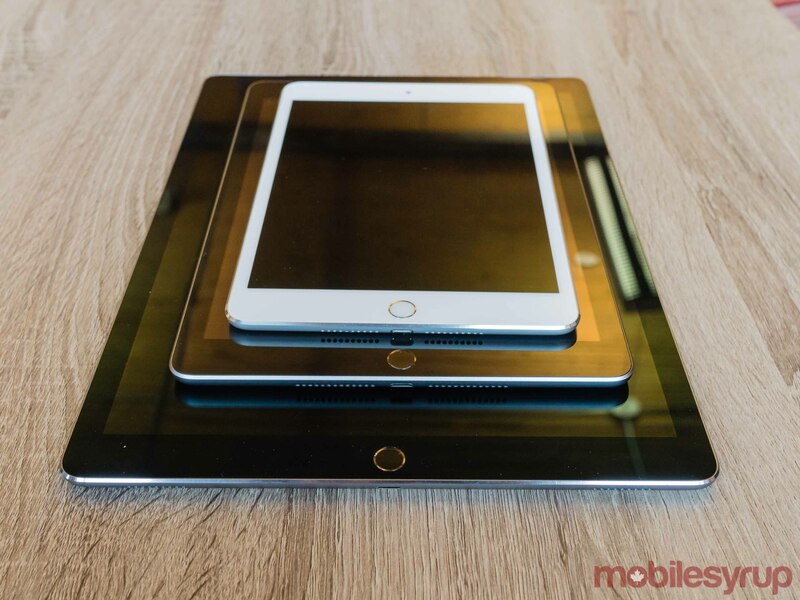 Measuring in at 9.4 x 6.6 x 0.29 inches, the iPad shares a similar footprint as the iPad Air 2. However, at 469g, it does weigh a touch more than its predecessor. Without access to an iPad Air 2, I wasn’t able to confirm whether cases that were designed for the iPad Air 2 will fit the new iPad. 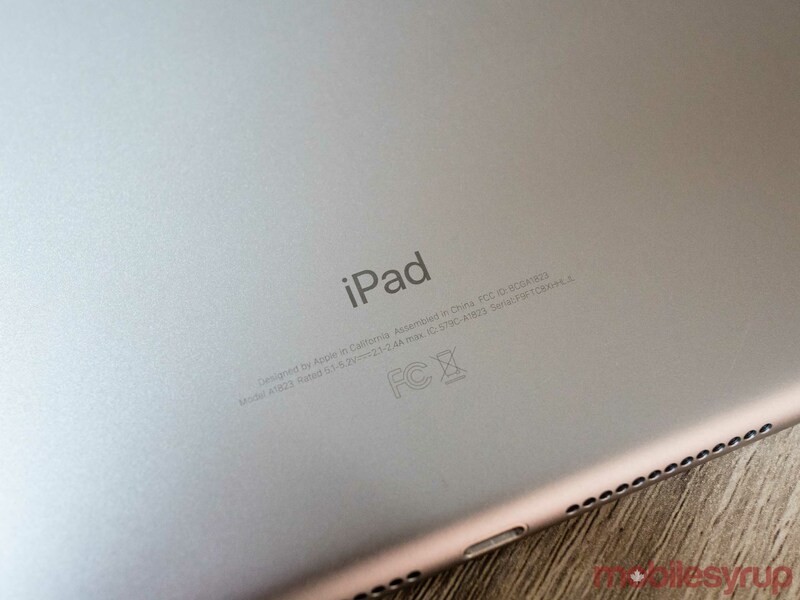 However, judging from pictures of the iPad Air 2, form-fitting cases designed to fit Apple’s previous tablet will also fit iPad, though some of the cutaways designed to give quick access to iPad’s physical buttons may not align perfectly. 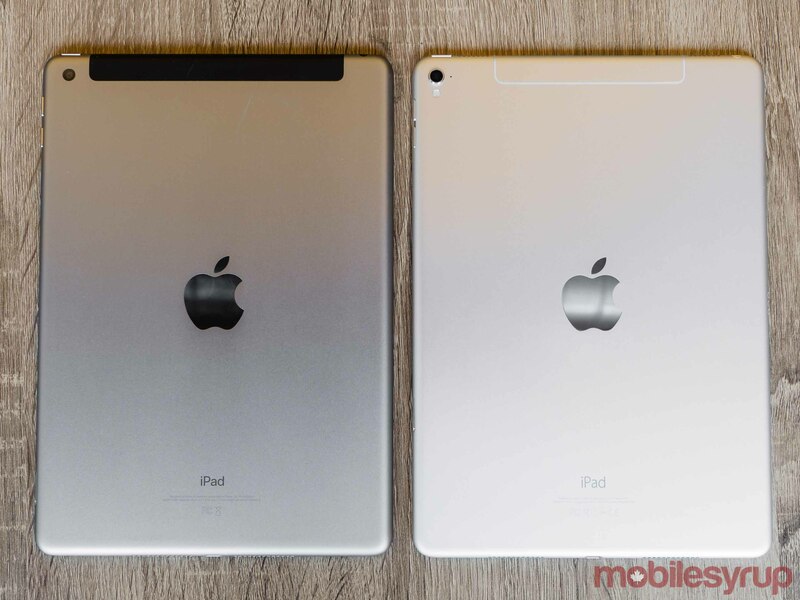 If you’re coming from an older iPad, you’ll notice one minor physical difference between the new iPad and some of its older siblings. 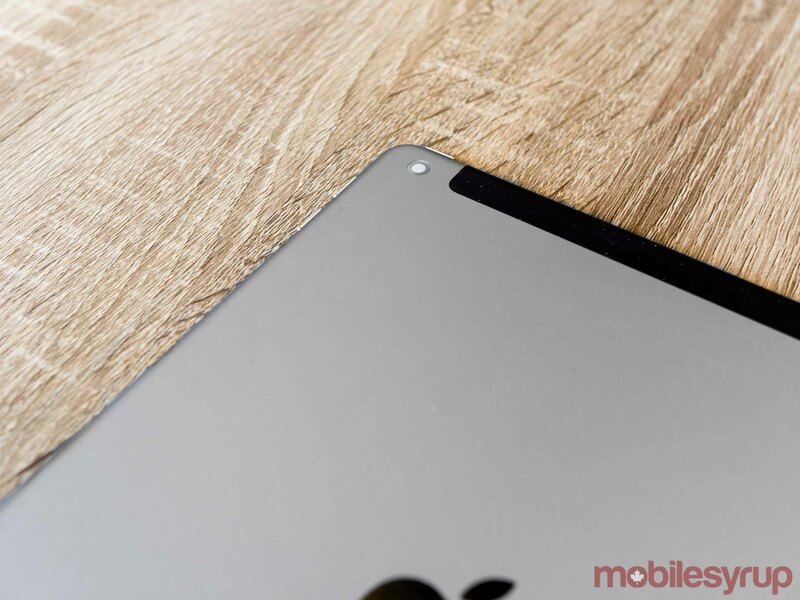 Like the iPad Pro and the refreshed iPad mini 4, the 2017 iPad does not feature the physical mute switch found on older iPad models. To mute the new iPad, users need to either hold both the volume up and volume down buttons simultaneously or pull up iOS 10’s Action Center and tap the relevant button. In the former case, more often than not it takes a second or two before the iPad registers the user’s intention. However, the biggest external change between the iPad Air 2 and 2017 iPad is that the new iPad does not feature a fully laminated screen or any type of anti-reflective display coating, two features found on every other iPad model currently manufactured by Apple. If you’ve never used an iPad with a laminated screen, then you’ll be hard pressed to notice what it brings to the experience of using one of Apple’s tablets. Without a laminated display, there’s a subtle bend when you press your finger against the screen and it emits a hollow sound when tapped. It still feels great to use the new iPad, though some might feel like something is missing if they’ve used other versions of Apple’s tablet before. Meanwhile, The loss of any type of anti-reflective is something of a non-issue. While glare is still apparent when viewing the new iPad’s screen outside, its display is 500 nits brighter than the screen featured in its predecessor, making it easy to read in all but the sunniest conditions. I’ll also note here that screen resolution remains unchanged from the iPad Air 2’s 2048 x 1536 pixel Retina display. The display also doesn’t feature the True Tone technology found on the 9.7-inch iPad Pro, nor does it feature its wide colour gamut display. One other welcome change is a bigger battery, with the iPad featuring a 32.4 Wh power cell. However, like every iPad ever released, Apple promises 10 hours of continuous video playback. In my short time with the device, I got a little more than 10 hours watching movies on Netflix, browsing the internet and using apps like Tweetbot and Lightroom. Screen aside, this is an evolution of the same well-built tablet Apple has offered to customers since 2010. Even as Apple’s most affordable mainline product, the 2017 iPad feels exceptionally made. At launch, iPad is available in ‘Silver,’ ‘Space Gray’ and ‘Gold.’ Unfortunately, like with the iPad Air 2, there’s no Rose Gold option for those who want it. The 2017 iPad’s marquee addition is the new A9 processor. While I’m usually not one for benchmarks, in the case of the iPad and its A9 chipset, I’ve decided to include several Geekbench comparisons to help illustrate how the A9 compares to the iPad Air 2’s A8X and the iPad Pro’s A9X. After putting it through the benchmarking tool, the iPad’s two core A9 processor earned a 2410 single-core score and 4095 multi-core score. By contrast, the iPad Air 2’s three core A8X processor received a 1825 single-core score and a 4397 multi-core score. Meanwhile, the iPad Pro, beating both the iPad and iPad Air 2, scored 3085 and 5240, respectively. Therefore, depending on the situation the iPad Pro A9X chip can deliver between 17 and 25 percent better processor performance. In practice, I never found the iPad lacking in the performance department. It handled everything I threw at it with ease and iOS 10 always felt responsive. 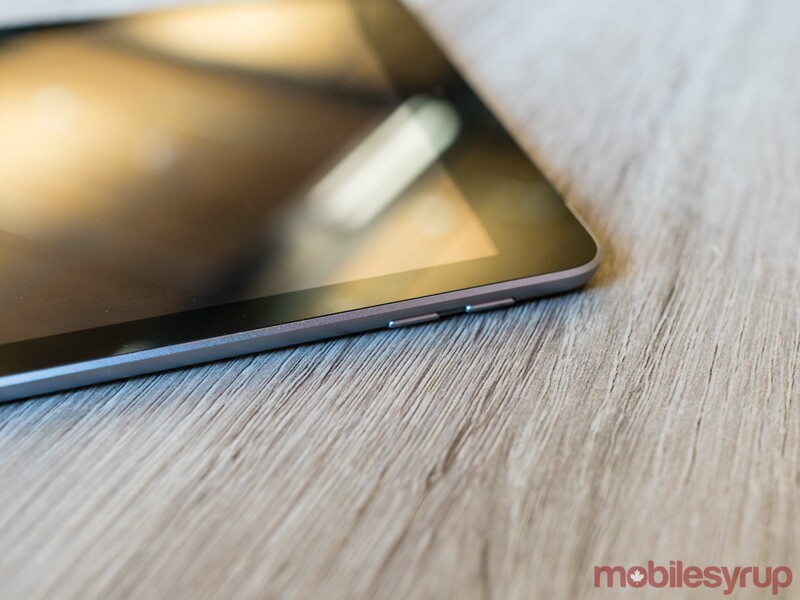 Those coming from an older iPad like the iPad 2 will appreciate just how smooth using the new iPad feels. That said, if you’re looking for reasons to get the iPad Pro instead, it will theoretically deliver about 20 percent better performance depending on the task. Conversely, if you’re currently own an iPad Air 2, you should skip the new iPad, as the former actually delivers better performance in certain scenarios due to its three core design. For everyone else, the new iPad will be a meaningful update, in part because their current device might not even allow them to take advantage of iOS’s iPad multi-tasking features. The 2017 iPad comes with iOS 10.3 preinstalled. While a meaningful update for iPhone, iOS 10 was less of a milestone for iPad owners thanks to the fact that not a single one of Apple’s tablets currently supports 3D Touch. Starting with iOS 9 and continuing more explicitly with iOS 10, Apple has built much of the iPhone’s most useful time-saving functionality around 3D Touch. Unfortunately, those shortcuts aren’t available to iPad owners. With iOS 10 on the iPad, there’s always more busy work than there is on the iPhone. For example, something as simple as clearing the pulldown notification pane can take several extra taps because the user can’t press down on the ‘Clear’ icon to bring up the clear all notifications command. Similarly, users can’t press down on the Setting app icon to jump straight to the Wi-Fi, Bluetooth and battery settings. The fact that this functionality is missing doesn’t make the iPad unusable by any means, but it does feel like it could be more efficient. Another issue is that iOS 10’s iPad multi-tasking features still don’t feel particularly elegant or polished. Changing how apps are displayed within iOS 10’s split-screen mode is one particular annoyance. To make an app that was launched using iOS’s Slide Over panel the primary app on the screen requires the user to first pull the divider that appears when two apps are running side by side all the way to the right and then pull out the Slide Over panel again to launch a new app. Neither of these two issues make the iPad usable, but they’re issues that have been with Apple’s tablet since the start. Seven years after it first came out, it still feels like software is the main issue holding Apple’s tablet platform from being something more than a platform primarily designed for consuming content. To be fair, this particular iPad was never going to solve that issue, but every time I come back to try a new iPad, it feels like the platform is an update of iOS (or melding of operating systems) away from real greatness. Of course, if you’re in the market for a simple and approachable software experience, then the flaws I mention above will seem more like positives. One other thing to point out is that the new iPad does not include the Smart Connecter found on Apple's two current iPad Pro models. As such, it is incompatible with the company's Smart Keyboard attachment. As a result of this, those that want to use this device as a two-in-one will need to take the extra step of finding a decent Bluetooth- or Lightning-capable keyboard to use iPad as a laptop replacement. In Canada, the 32GB iPad starts at $449 CAD. 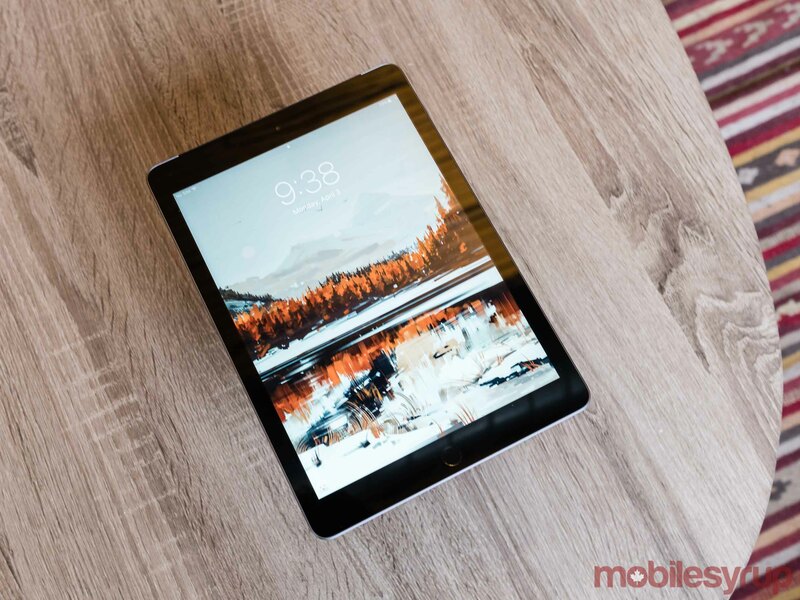 For the sake of comparison, the iPad Air launched at $549 when it first came to Canada, though by the end of its lifecycle it was possible to find one for $499 or less. In a lot of ways, this is the new iPad's greatest strength. 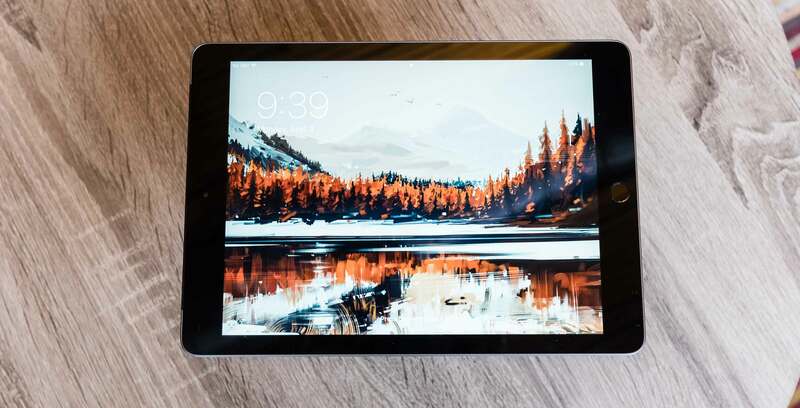 For what it offers, one of the best pure tablet experiences available on the market, the new iPad is an easy device to recommend, especially if the iPad Pro's more premium features don't seem like they're worth it to you. Buy one for a loved one and they'll likely appreciate it for years to come, which is more than you can say about most devices released today. "Like the iPhone SE before it, Apple's latest tablet is an iterative update designed to appeal to a specific subset of consumers."